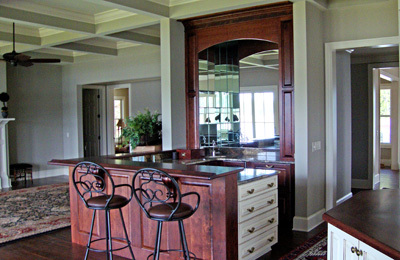 WoodTech Cabinets, LLC designs, builds and installs custom cabinetry to meet the specific needs, space and budget requirements of both residential and commercial applications. Having been of service in Beaufort and Jasper counties and surrounding areas since 1991, we have the expertise and capabilities to deliver the highest quality product available with references to match. The range of styles and designs that we provide are limitless as well as our capabilities to build anything from bookcases to headboards, custom furniture to corner cabinets and entertainment units to Murphy beds to name just a few of the many products that we can deliver. 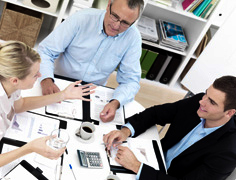 Along with the attention to detail that we provide as a major part of the process, we also provide the client with the opportunity to review the final plans of the project to determine that their specific needs will be met as promised. To learn more about WoodTech Cabinets and how we can help you with your next project, do not hesitate to contact us today for a free estimate or with any questions you may have. 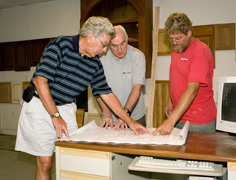 Review and Estimate: Design and Sales Associate reviews your specific needs, space requirments and estimates cost of project. 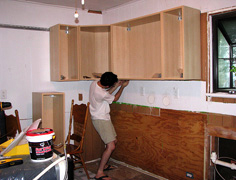 WoodTech management reviews plans with client to insure that our needs and Specifications are met. 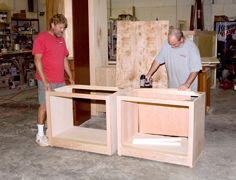 WoodTech expert cabinet makers take personal pride in building our project to your specifications.